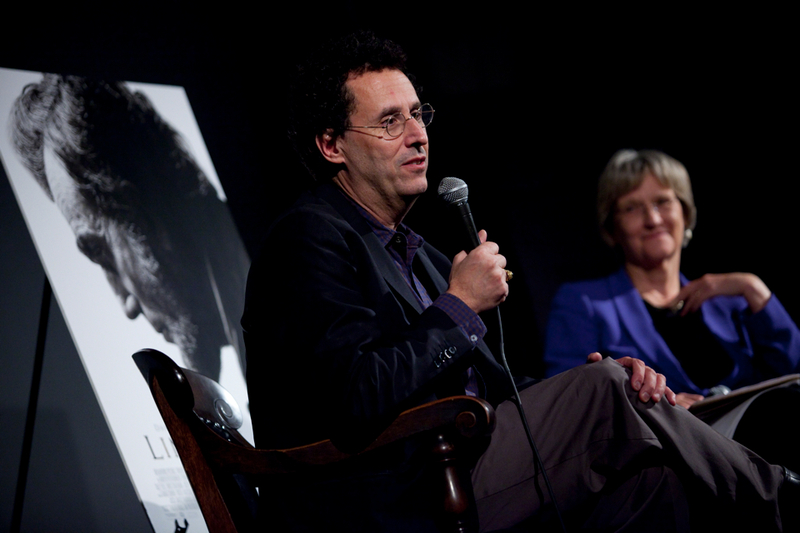 Tony Kushner speaks to Harvard students, faculty, and staff at the Brattle Theatre after a private screening of Lincoln. Civil War historian and Harvard president Drew Faust talks with Kushner about the film. 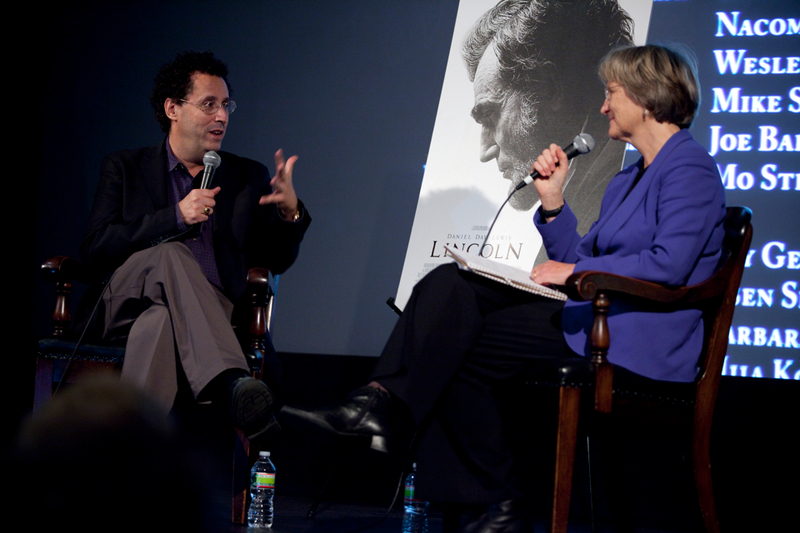 When Tony Kushner started writing the screenplay for Lincoln five years ago, the film hardly had the look of a box-office hit. No studio had made a movie about the president in 72 years, and when Kushner went to Hollywood to pitch his idea, he presented a 500-page script that alarmed his hoped-for director Steven Spielberg. Then there was the issue of the casting—could abrasive politicians and Lincoln himself, whom some describe as a cold figure, make an interesting and gripping film? Ironically, the Writers Guild of America strike that year was just what Kushner needed. Though unable to work on the script for five months, he said, he gained the perspective he needed to write what may be this year’s Oscar winner for Best Picture. (As of November 30, it had brought in $62.8 million at the box office). He also got sound advice from Spielberg, who thought that the beginning of the script—dealing with the first few months of Lincoln’s second term, when he was focused on passing the Thirteenth Amendment, to end slavery—was enough for a feature-length film. “We both laughed about that—it seemed like an insane idea,” Kushner said. “It’s as much about the House of Representatives as it is about Lincoln, and the idea of making a movie about the House of Representatives seems completely insane—there is no organ of government in the history of the world less popular! The whole movie was just going to be a lot of guys talking.” Yet thanks to his writing skills—Kushner won the Pulitzer Prize for Drama in 1993 for his play Angels in America: A Gay Fantasia on National Themes—he was able to make one of the great congressional battles in history come alive on screen. The tradeoff, he said, was that he had to leave out portions of actual history, including dramatic scenes with abolitionist leader and former slave Frederick Douglass. The film instead focuses on just four months of Lincoln’s presidency, January to April 1865, during which the Thirteenth Amendment was debated.